From Jeff Fountain’s book Deeply Rooted. You can read the first part here. Monnet knew that Schuman would have the moral standing, the political authority and the courage to trigger off great change if necessary through the implementation of unconventional ideas. 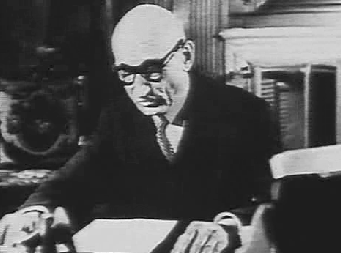 Clappier, Schuman’s secretary, and Paul Reuter, Schuman’s legal advisor at the Foreign Ministry, had discussed their boss’s ideas at length with Monnet, who could bring his depth of experience from the League of Nations, The Hague Congress and as former head of a planning commission under De Gaulle immediately after the war. Proposals he had made then, in line with De Gaulle’s policy of dismantling the German coal and steel industry, had only increased French-German tensions, rather than solve them. He knew at least what had not worked. 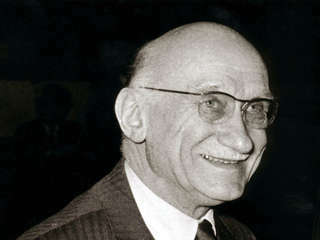 Often mistakenly portrayed as the true architect of the Schuman Plan, Monnet was still as late as April 1950 considering the idea of a buffer state called Lotharingia between eastern France and Germany, comprising part of Belgium, Luxembourg, Alsace-Lorraine, and the Saar and Ruhr territories. Reuter, himself from Lorraine, had managed to convince Monnet that this plan was unworkable and unnatural for the residents concerned. Monnet, who confessed in his memoirs that he had run out of ideas at this stage, asked Reuter to help him prepare a draft of a plan. Reuter set to work on the first draft of a plan incorporating Schuman’s principles and concepts, along with Monnet’s practical and technical proposals on how to achieve economic integration. Clappier knew that his boss needed a bold, workable initiative to present on May 10 in London at the meeting of the Big Three. He too contributed to the brainstorming with Reuter, Monnet and other staff. Less than two weeks before that date, Clappier was anxious that time was running out. The last weekend in April had arrived when he dropped by Monnet’s office to check on progress. Monnet showed him the latest draft. Quickly Clappier scanned the text.Then, realising that the foreign minister was about to board the Saturday morning train for Metz, he had excused himself to dash madly, text in hand, to Gare de l’Est. As the train carried him eastwards, Schuman began to peruse the document. Monnet and his team seemed to have translated his main principles and ideas into a workable plan! It was daring and unprecedented. It broke with the familiar tradition of bi-lateral and multi-lateral treaties between nation states. He would look at it more closely at home over the weekend, but at first glance, the plan appeared to be what he had been looking for to take to the Big Three meeting. At the Metz station, an official car would usually be waiting for him. Typically, to the frustration of his security personnel, he would ignore the car in favour of taking the public bus to the outskirts of the city, and his home village of Scy-Chazelles on the gentle slopes of Mont Saint Quentin. As always, his housekeeper would be there to greet him and cook for him. A small stooped woman, ‘la petite Marie’ Kelle looked after his simple and modest two-storey stuccoed house set in a walled garden. This arrangement would last forty-two years, in which Schuman led a simple, priestlike lifestyle. Also waiting for him was his library with its eight thousand volumes. A source of joy and inspiration, it included rare manuscripts and autographs of every king of France since Charles V. The library, his study, the gardens, and the fortified church of Saint Quentin just across the road, were all favourite places for quiet reflection on the maelstrom of his political life. Walking in his beloved garden, Schuman could reflect on his two years in the post of foreign minister, and recall the Congress of Europe in The Hague in May 1948. He could draw satisfaction from the formation of the Council of Europe, with its emphasis on human rights, the rule of law and democratic development. He himself had proposed it be inaugurated the following year at Strasbourg. Yet, significant as it was, the Council of Europe was hamstrung by nationalistic constraints. It was not the political solution he was looking for to bring lasting peace based on equality and solidarity. Schuman also was haunted by his disturbing first official visit as foreign minister to Germany, just a few months earlier. A hostile press had confronted him in Mainz, Bonn and Berlin. To them, he had personified the French threat to annex the Saar coal and steel region, just over the border from France. For most French, post-war Germany still loomed as a menacing threat, both politically and economically. They felt they had a moral claim to the Saar. He wanted to believe Konrad Adenauer, the German chancellor, to be a good and devout man whom he could trust. But the Saar issue had even brought strains to their relationship. Just the previous month, in March, Adenauer had proposed the idea of a political union between France and Germany, open to Britain, Italy and the Benelux nations. This was no new idea. The chancellor had been thinking along these lines since the 1920’s. But the mood in both France and Germany did not seem favourable to such a plan. How ‘religious’ are Europe’s Muslims?